The couple's new home got the Homepolish treatment. 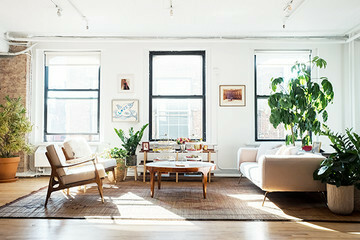 Photographed by Genevieve Garruppo for Homepolish. 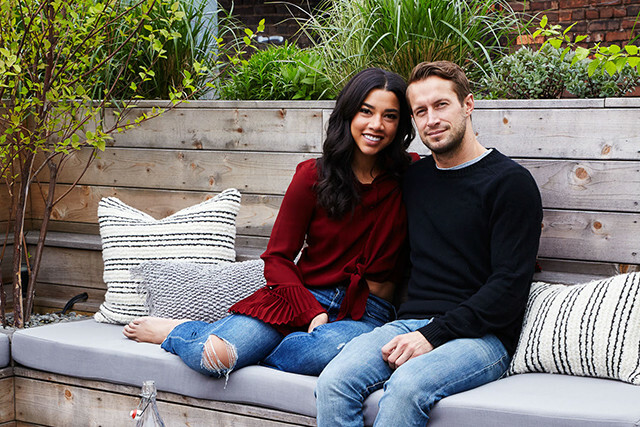 NYC's hottest DJ couple Hannah Bronfman and Brendan Fallis just got hitched. Now looking to settle in, the pair called upon Michelle Zacks of Homepolish to decorate their 4-level home. 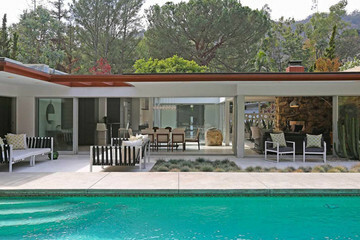 Filled with minimalist interiors and an outdoor patio cooler than most rooftop bars, we bet the It Couple will host quite a few stylish events at their home. Scroll through and check out their enviable real estate. Talk about a statement! 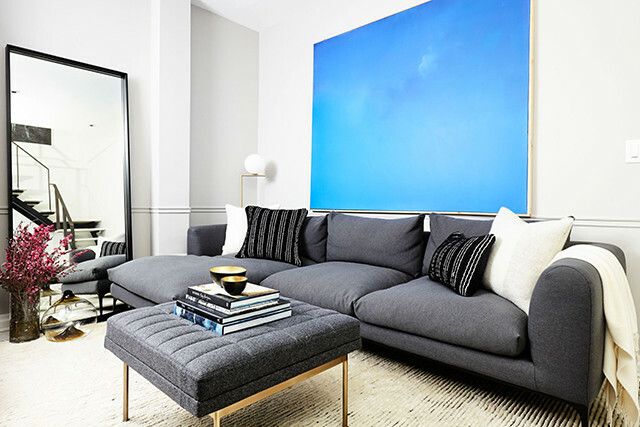 The huge blue art piece is a great tool to add life to a more masculine color scheme. 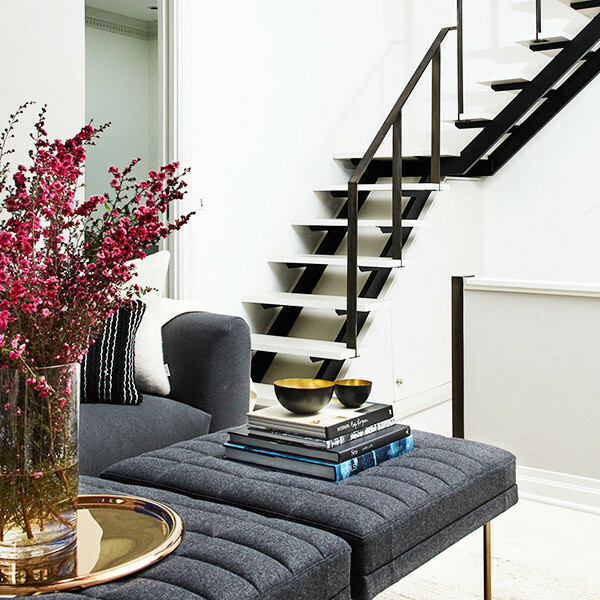 We particularly love the gorgeous grey couch as a neutral to tie everything together. Ottomans can make a cushy table for all your art books. 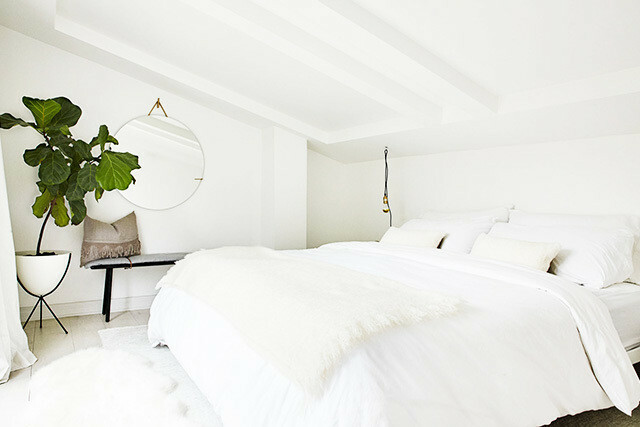 "Hannah and Brendan's bedroom is primarily all white, so we chose to use different textures and shades of the color to create contrast," says designer Michelle Zacks. "The bed and nightstands are metal, the pillows are sheepskin, the throw blanket is mohair, and the rug has a silky shine. 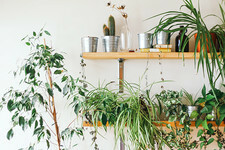 So the space feels warm and cozy instead of feeling flat." 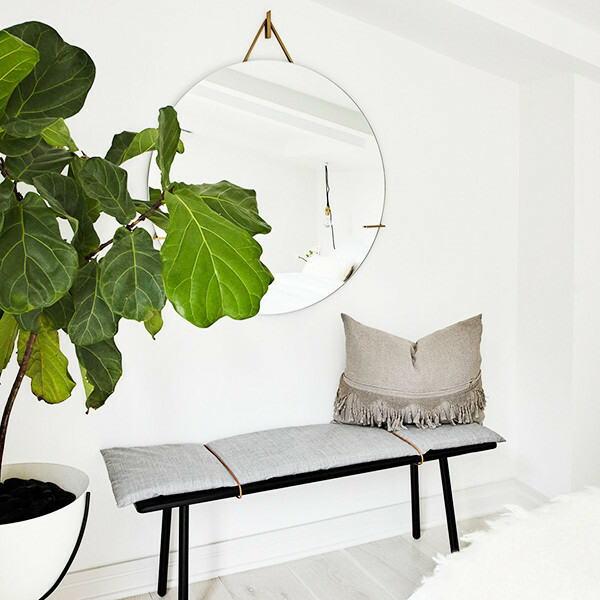 A large mirror is a great way to open up the small space. 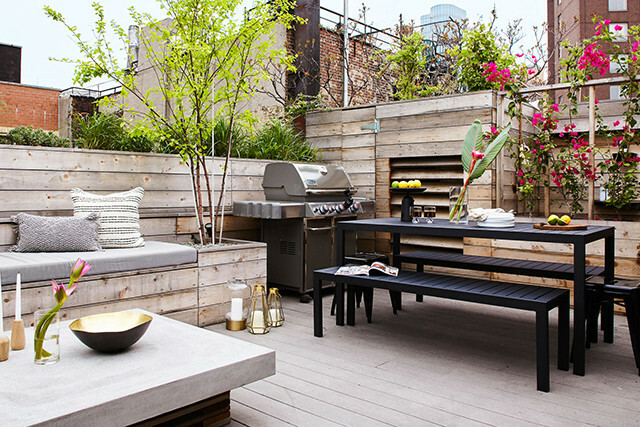 Our favorite spot in the home is the outdoor patio. The warm wood structure is made modern with pretty neutrals and metallic accents. Can you imagine a more perfect dinner table for parties on a warm summer night? 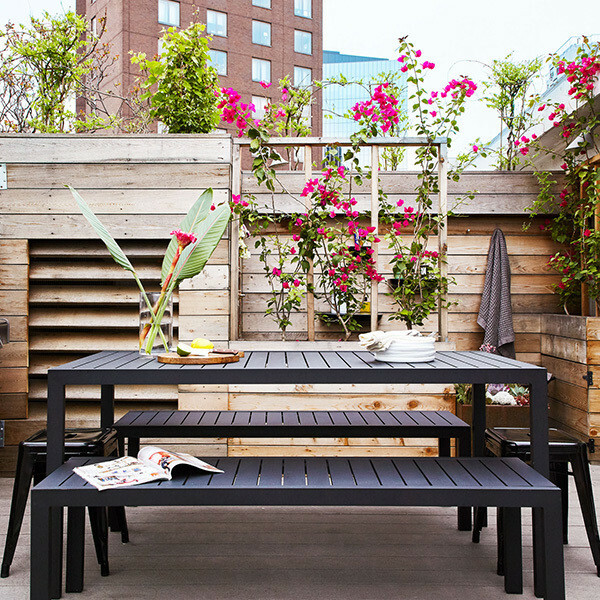 The best part of the patio? 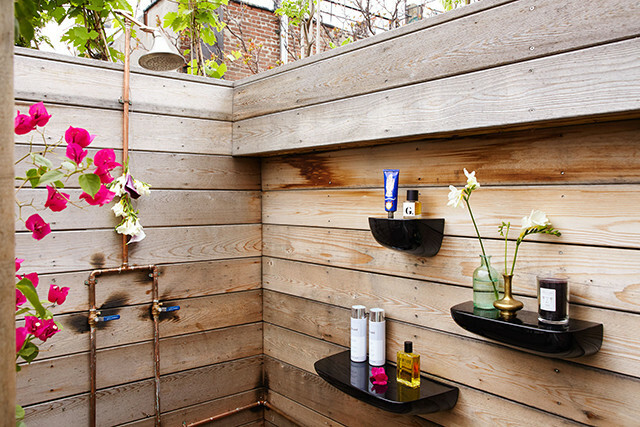 An outdoor shower stocked with all the coolest products. 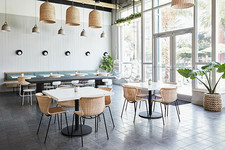 As Lonny's Editor, you can find me writing about interior tips, scouting out the coolest new spots, and rallying behind amazing female entrepreneurs. 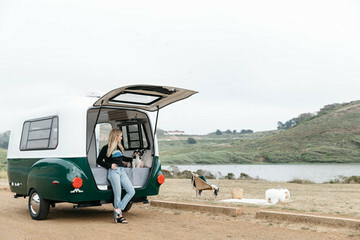 You can reach me at shelby.wax@livingly.com or on Instagram @shelbywax.